The radio has provided entertainment, news, comfort, and information and has united people both near and far ever since Guglielmo Marconi invented it in 1895. Today, radio continues to be an important part of people’s lives around the world. The United Nations Educational, Scientific, and Cultural Organization established February 13 as World Radio Day “to celebrate radio as a medium, to improve international cooperation among broadcasters, and to encourage both major networks and community radio to promote access to information, freedom of expression and gender equality across the airwaves.” This year’s UNESCO theme is “Radio is You” and focuses on ensuring that all radio stations from personal to commercial have the tools they need to provide the best service they can. “Radio man” is Diego, a boy in a family of migrant workers who pick fruit and vegetables from the Southwest to as far north as Washington state. Although his family moves frequently, Diego has close relationships with his parents, sister, grandparents, cousins, and especially a friend named David. As his family moves from town to town searching for work, Diego listens to the radio. Stations broadcasting in both English and Spanish keep the family company, and Diego measures the distance of upcoming towns along their route by the clarity of the DJs’ voices. The radio also provides entertainment for end-of-picking season parties among the workers and serves as a catalyst for the grandfather’s stories of growing up in Mexico. David, missing Diego and listening to his own radio, is there! David smiles, happy to be reconnected with his best friend. Arthur Dorros’s story reflects not only the life of migrant workers but also the universal feelings of children separated from friends. Through Dorros’s honest and moving descriptions, readers discover the importance of communication, whether it be through shared history and stories or through technology, in keeping relationships strong. When Diego and David finally find each other again, children will identify with their happiness. Through vivid illustrations, Dorros depicts the landscape and farms of the American southwest, the festive celebrations held by workers at the end of picking seasons, the reality of driving from town to town, and the tight relationships among family members, giving children a glimpse into the life of migrant workers as well as the heart of friendship. Each page of Radio Man is presented in English and Spanish, with translation by Sandra Marulanda Dorros. 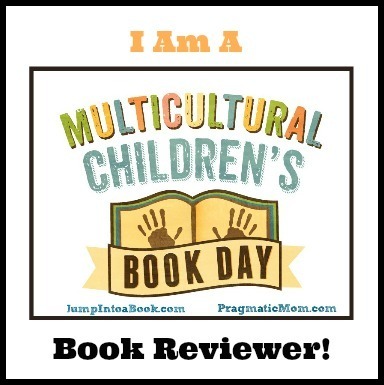 It has become a classic multicultural story, and one that is a wonderful read for all kids. Discover more about Arthur Dorros and his books as well as fun activities on his website!